Select your favorite activities from over 50 different sports showcased within the app. A tailor-made journey. Swipe to connect with profiles in your area, which have been recommended based on your favorite sports. Host, attend and manage your sports life. PLVY is a mobile-based social network for the sports community. 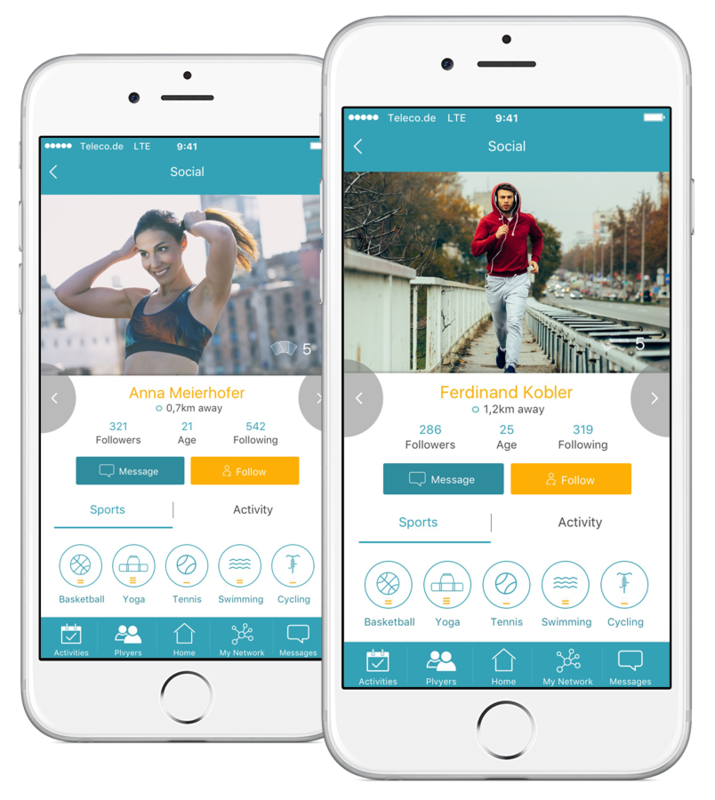 The app offers the opportunity to discover like-minded people as well as sports activities nearby. PLVY is lifting barriers while making it easier than ever before to find suitable sports partners and events by utilizing users’ social data, location, as well as sports preferences and its respective level. © PLVY GmbH 2017. All rights reserved.